Thanks cmv2!!!! You have uploaded something else than last time, but it's way better! BTW would it be possible to upload it in different format? Anything but PDF. Maybe corel, photoshop, ....what have you used to create it? Adobe Illustrator FTW (or InDesign). Anything with flat colour and type will always print better in vector. Get the PSD and AI work then compile is ID for best results. pleaseeeeeeeee!!!! someone can reupload the template i was looking for this for a long time!!! thanks. I have a better template If you want it . But first you must promise that you will use it only for personal use and not for making boxes and selling them. i swear i only use the template for my famicom colleccion i don't sale game and noting like that. Thanks!!!!! Can I have it too? Seriously though, seeing topics like this scare me, and I really hope that the template isn't freely given out, especially to users with no few feedbacks and low post counts. 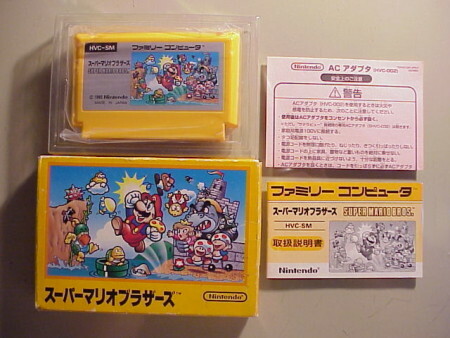 To those of us who collect boxed Famicom games (especially those collecting the ueber rare pirate boxes), it just seems very scary, knowing that at some point, one will start making "repros" for cash. People will always swear that it won't happen, but eventually it will. At least can somebody give me the dimensions? I just wanna make a box FOR MY OWN USE. Try googling Gamescanner - he has some template scans you could use. I've attached a preview of a template I'm making with the dimensions jpx72 provided at the beggining of the thread. I just need the measurements, not scans. Thanks in advance and sorry for my english. I can't because I don't have that - but I would recommend NintANDbox for these things.